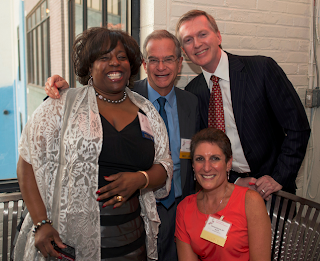 Celebrating Philadelphia Association of Paralegals' 40th anniversary! The Philadelphia Association of Paralegals (PAP) has consistently been one of the strongest allies and supporters of our Paralegal Studies program. 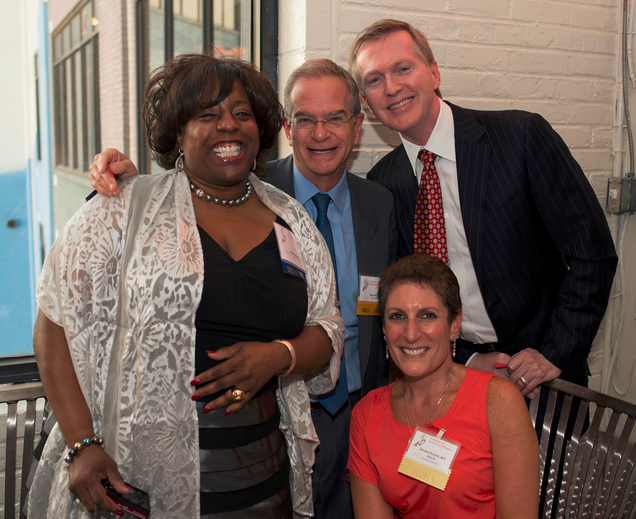 So when the organization celebrated its 40th anniversary last month, we were excited to be part of the festivities. The gala was held on September 19 at the incredible Bistro St. Tropez, which has amazing views of Philadelphia. The room was filled with energy and enthusiasm, and many current Peirce students, alumni, advisory committee members, and colleagues from the legal community were in attendance. One of my favorite parts of the evening was getting to meet the very first President of PAP, Anne M. Gay. It was a pleasure to be able to share in her joy at how the Association has grown and the role it has played in the paralegal field. It was also quite an honor to be included as an award recipient that evening for Student Paralegal Professional Development. Yes, yours truly, was recognized along with Philadelphia District Attorney, Seth Williams, and The Law Firm of Pepper Hamilton LLP. It was a humbling experience … one that will always hold a very special place in my heart. We wanted to share some of the photos that were snapped throughout the night here on the blog. This event was truly special to us. I speak on behalf of our department and the College when we say thank you to the Philadelphia Association of Paralegals for all they do for our industry and how much they’ve contributed to the profession. PAP is such a wonderful source of professional leadership for our field here in Philadelphia, and has continued to advance the evolution of the paralegal profession. They offer many resources, including student forums, education conferences, classroom speaking engagements, advisory board membership, scholarship awards, networking opportunities, symposiums, workshops, summits, job bank resources, internships, pro bono and community service experiences, ethical and professional responsibility perspectives, publications, regulation and certification focus, national association impact, mentoring, and an astounding colleague resource base. Thanks so much to PAP for a fantastic evening, and an amazing 40 years! We look forward to the next 40 years! !